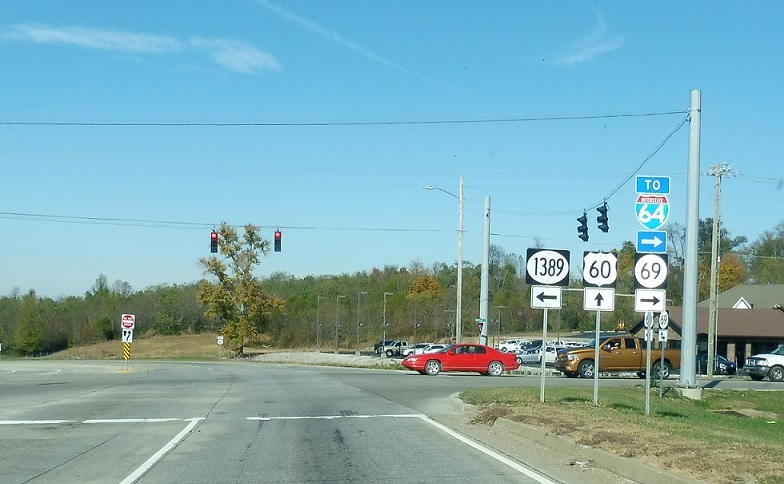 Just after KY 2181, we’ll approach KY 1389 at the 60/69 split. 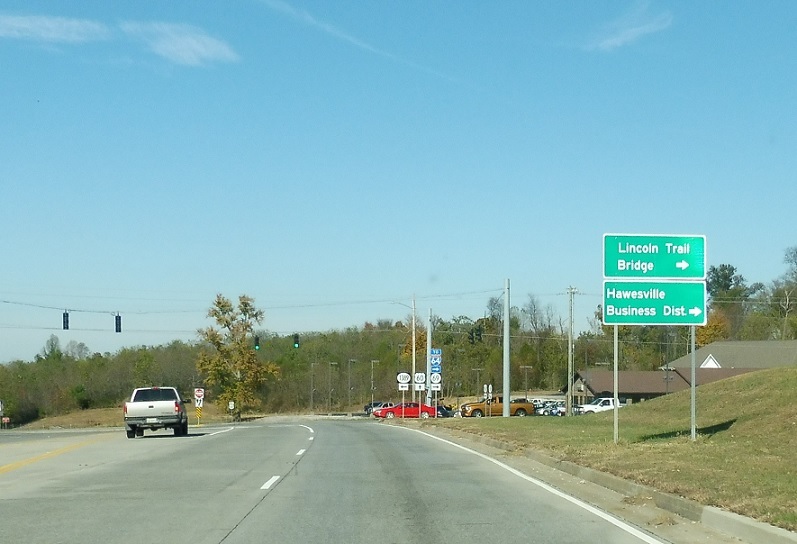 As 69 splits, follow it into downtown Hawesville. Stay straight for US-60 west. Turn right for KY 69 north to I-64 in Indiana. 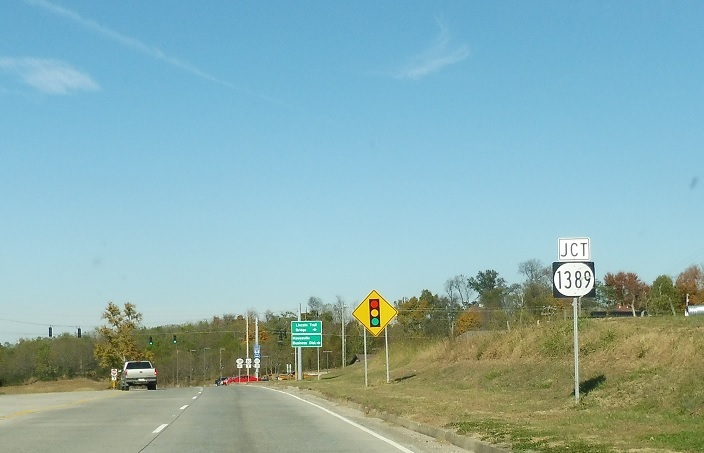 Turn left for KY 1389 south.